PORTLAND, Ore. (January 24th, 2019) – At CymaSpace we believe access to the world is a fundamental human right. For over 5 years we have committed our resources to affecting positive change by encouraging inclusion and equal access for the Deaf and Hard of Hearing community. In support of this vision, CymaSpace is thrilled to announce it’s newest initiative; Access Lab – A Space for All. Assess Lab is the next step to facilitating accessibility at the intersection of technology, art and social movements. Access Lab integrates a Workshop, Education Program and Support Services within our new 800 sq. ft studio. Access Lab provides multimedia workstations, community meeting areas, event production & rehearsal facilities, audio-visual tools, live captioning technology and a pilot micro-grant program to provide disability accommodation resources to individual members and partnering organizations. Access Lab members have access to these resources year-round in tandem with support and mentorship from CymaSpace volunteer staff. 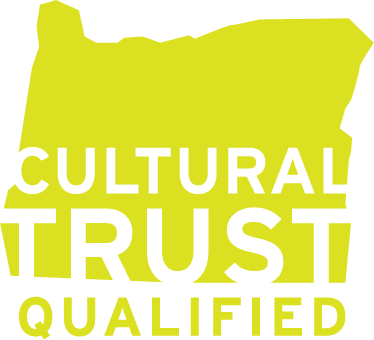 Increase the frequency and impact of arts and cultural events that are accessible to Deaf & Hard-of-Hearing (DHH) Oregonians and document the impact of the programs. Spread awareness of accessibility needs of DHH and access requirements of the Americans with Disabilities Act. Increase the number of Sign Language Interpreters & CART (Live captioners) who are skilled and qualified through partnerships, workshops and provide increased contract opportunities for freelancers. Create specific work opportunities for Certified Deaf Interpreters (CDI’s) who may experience employment discrimination due to their disability. CDI’s are a valuable/under utilized interpreting asset due to their native Signing skills. Award small grants to qualifying nonprofit and for-profit organizations that want to provide DHH access services and technology, but need performing arts interpretation or live captioning services. Access Lab – A Space For All is facilitated by CymaSpace, a Portland non-profit arts and technology incubator. CymaSpace is dedicated to making all cultural events more accessible and inclusive to the Deaf and Hard of Hearing through technology, education and outreach. 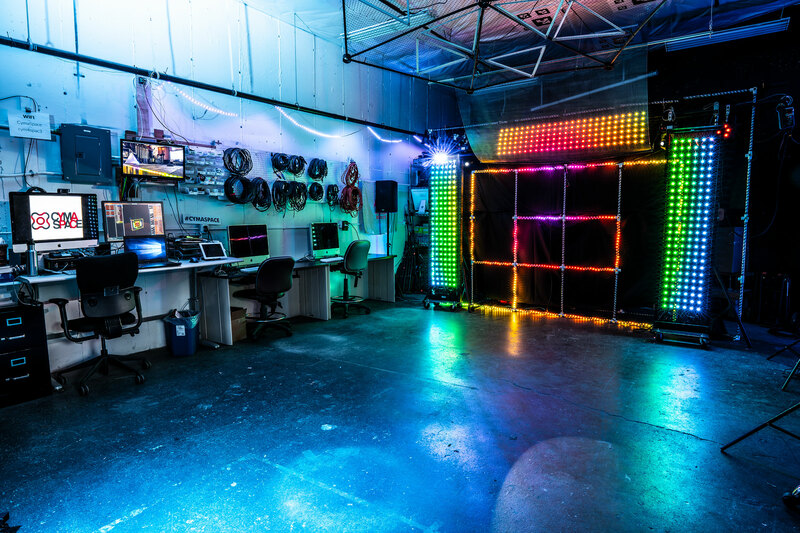 Committed Deaf and hearing volunteers lend their skills to develop a variety of art installations and stage sets that synergize sound, light, and vibration. The work of CymaSpace has been featured nationally on Jimmy Kimmel Live, as well as at festivals like What The Fest?, PDX Winter Light Festival, Kentucky DeaFestival, and prominent local institutions such as Portland Art Museum, Clark County Historical Museum and Oregon Museum of Science & Industry (OMSI). Join today and receive full perks of the CymaSpace membership program including discounted access to events, and a special rewards program with our many participating local and national businesses. We make arts & cultural events more accessible & inclusive to the Deaf & Hard of Hearing through Technology, Education & Outreach. We are a leading advocate for accessibility and inclusion within the performing arts. We are constantly striving to find new ways to ensure our venue and events are inclusive, especially to Deaf & Hard-of-Hearing communities. We provide incubator services for new fledgling organizations and communities that are exploring emerging concepts in combining technology and the arts. We provide educational opportunities for artists, the general public and other performance venues interested in incorporating our unique, cymatic concepts into their work. CymaSpace is an epicenter for Cymatic study and we are committed to raising awareness of and promoting the benefits of Cymatics (the science and study of sound made visible).